It costs $$$ to keep the Nimbin HEMP Embassy rolling (pun! ), and the annual MardiGrass Cannabis Law Reform Rally alone costs tens of thousands, hiring venues, providing toilets, feeding volunteers, setting up stages, hiring sound systems, printing programs etc. 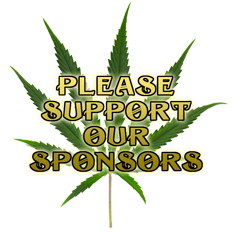 The Nimbin HEMP Embassy also sends delegations to Canberra, Sydney or whatever it takes to lobby our politicians. We also provide a free HEMP Education Resource Centre, host a comprehensive website and run an active media office sending out press releases, and keeping up to date with all the latest research and political machinations regarding the prohibition of one of our most useful herbs. We are a non-profit organisation and rely solely on donations, sponsorship, and income from our shop to provide campaign funds. Any donation no matter how small will be appreciated and will help.